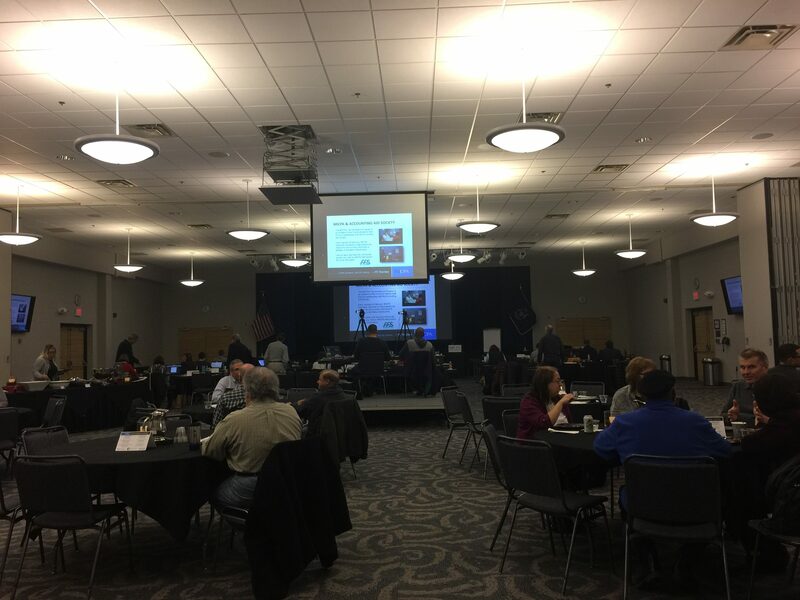 Sterling Insurance Group was proud to sponsor the Michigan Certified Public Accountant Association’s (MICPA) CPEconomy Conference in Warren, MI. 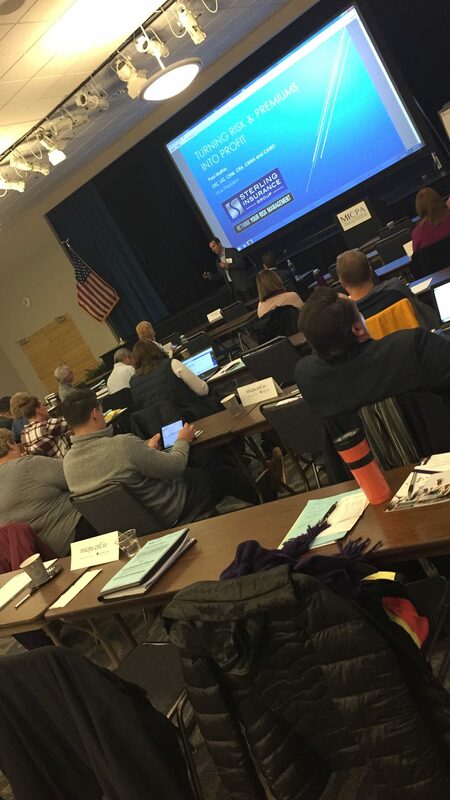 The topic: Property & Casualty Insurance Captives. 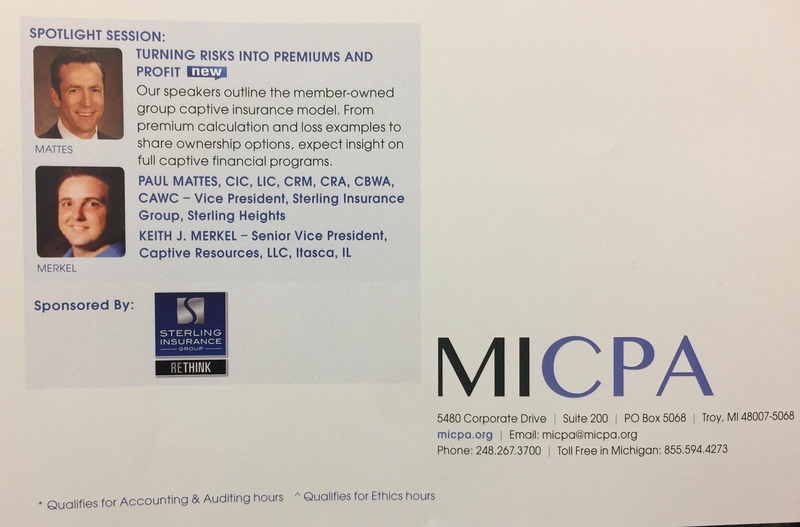 Together with Keith M. from Captive Captive Resources, Sterling was able to present a compelling 50 minute presentation begging the question: is an insurance captive a good idea for your business? … you may just be a great fit for a Property & Casualty Insurance Captive! Email Paul Mattes (Vice President at Sterling Insurance Group) to learn more: pmattes@sterlingagency.com. 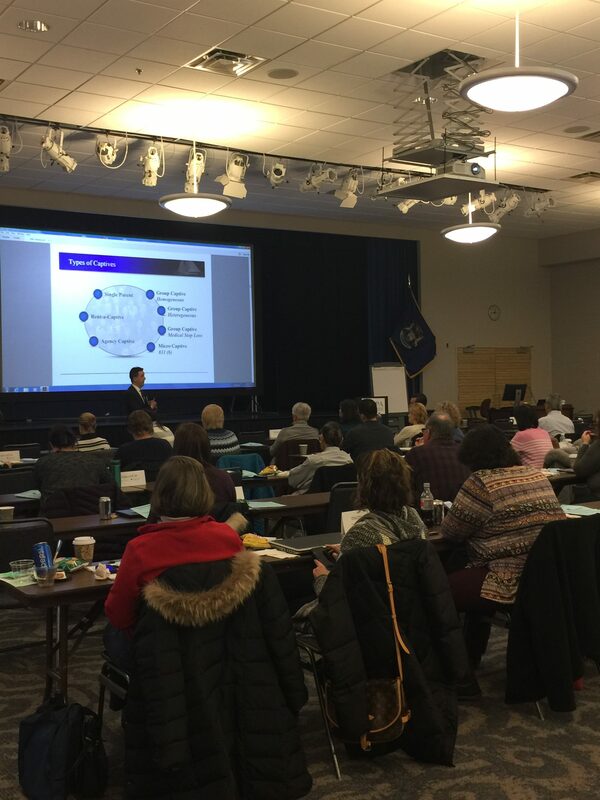 Thanks to all the CPAs who attended!